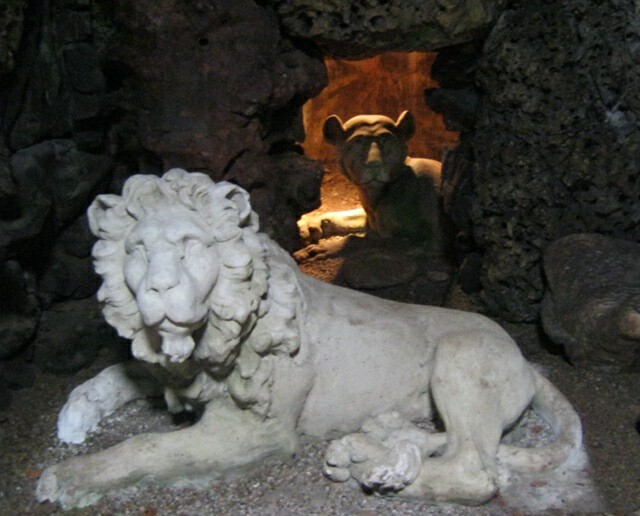 Beneath the serene elegance of Goldney Hall’s gardens, a savage catacomb awaits – a mine filled with gods, lions and bleeding crystals, where seeping damp reminds imprisoned shells of what they’ve lost. This is the place Holly Corfield Carr leads her audience into, with a powerful piece of immersive theatre riddled through with poetry. Written to fit and reflect its setting, the piece begins in warm September sunlight as Holly talks of time and hands each of us a pebble that represents it. We’ve given small glowing lanterns to carry, and follow her across the emerald lawns into the shadowy shell grotto. With only six audience-members, or rather, guests, at each performance, the feel is distinctly intimate, and Holly addresses us each in turn as she tells tales that bring in myth, history, botany, and the wonderings of the human heart. 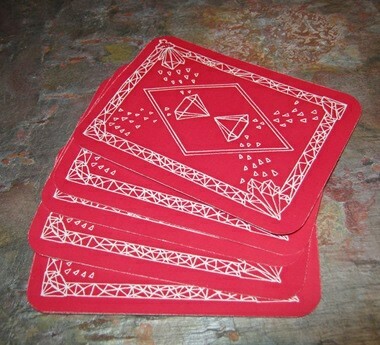 She invites us to choose cards and read fragments of verse aloud, entrenching us deep in the language of the grotto. There are so many words, pouring from Holly’s mouth, and from our own, whilst surrounded by the glimmering roars of coral, water and sculpture, that it’s impossible to take in every scrap. Thankfully Holly has produced a beautiful pamphlet, published by Spike Island, to take away from the performance, and savour in your own time. “Because, even now, time is up. This is a performance about the past, both human and geological, and how it hides, hushed, in the ground beneath our feet. MINE is part of Bristol Biennial, a festival of art. 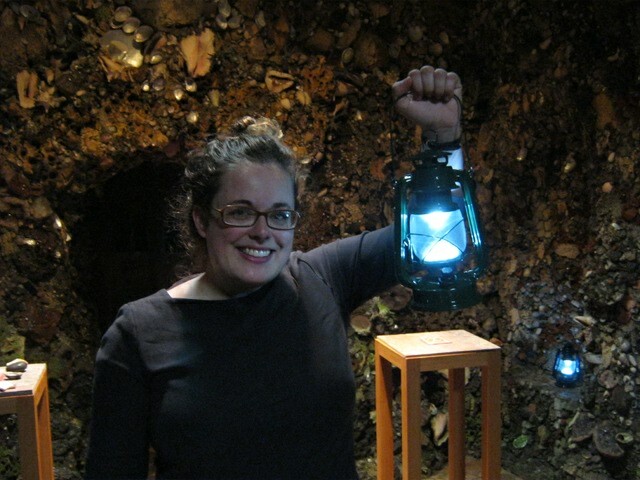 This entry was posted in Reviews and tagged Bristol Biennial, Goldney Hall, Holly Corfield Carr, poetry, shell grotto, Spike Island, theatre by Judy. Bookmark the permalink.